This is not a duplicate question. How can I fix this? I have tried restarting my computer and terminal, I have removed all zsh files...I am lost. 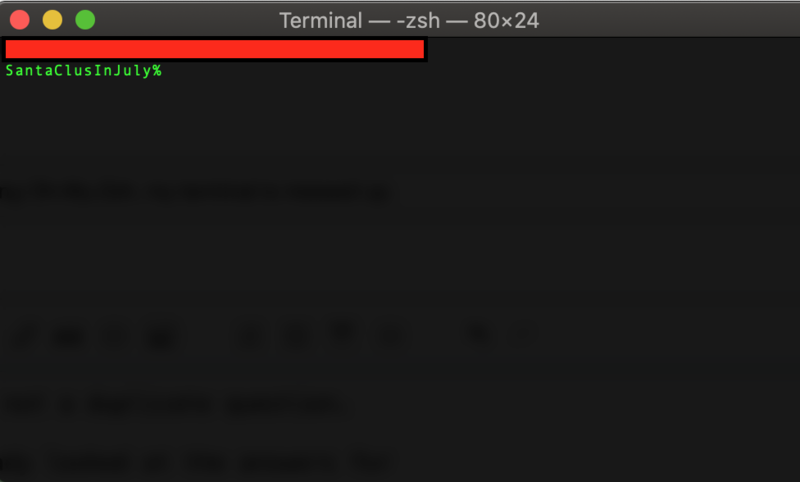 Because you are checking the "default login shell" option, Terminal will start your default login shell, which is apparently zsh. What you enter in the box below makes no difference, because you do not check that option. You do not state what your goal is, but I will assume that it is to return to bash, which is the default in macOS. Open Settings (from the Apple menu). Unlock it, if necessary, by clicking the padlock icon at the lower left and entering your password. Control-click your username in the list at the left, and select "Advanced" in the menu that appears. In the dialogue sheet that appears, change your login shell to /bin/bash. Not the answer you're looking for? Browse other questions tagged terminal bash zsh . How to reset iTerm2 Window/Tab Title when disconnecting from remote host?